Truth, Justice, and the American way. Neat! For the first time in the character’s existence, he has truly found a place where he can be as loud, boisterous and daringly naïve as he was always meant to be. With the TV series being written and produced by Tick creator Ben Edlund, it’s hard to imagine the series not living up to its full potential but, I have to admit, I was seriously skeptical to begin with. I’m not going to give you an episode-by-episode breakdown of what to expect — aside from the awesomeness that is the finest crimefighting duo since Batman and one of his Robins — but I’ll warn you right now you need to go into this without preconceived notions based on the character’s past. 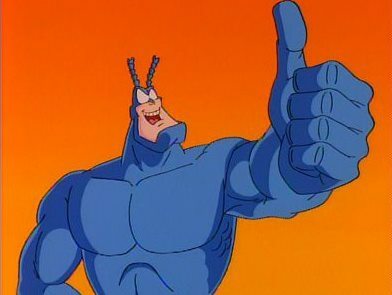 There are essential characters who have survived translation from comics to cartoons to the early 2001 live-action series: The Tick (duh), Arthur, Dot, and the greatest villain of all time, The Terror. The Tick, played by Peter Serafinowicz, is the quintessential Golden Age superhero and always has been. This new series lives up to everything the character is and stands for. With his seemingly random philosophical non sequiturs and what can only be described as a childlike naivety, combined with an altruistic sense of justice and the biggest heart of any character to ever be portrayed on the pages of a comic book, Serafinowicz brings to life the innocence and acumen of this amnesiac superhero in a way I never thought possible. Meanwhile, Arthur and his sister, Dot, receive a total makeover. No longer just a humdrum accountant bored into herodom with an overbearing, naggingly overprotective sister, both characters have received some much needed fleshing out that both humanizes them, as well as an added measure of depth and emotion to them that has never been seen. Arthur was the every boy, the kid who idolized his heroes and his father, only to have the trauma of watching them all slaughtered at once by the hands of The Terror. It caused a lifetime of obsession and psychological problems that have made his neurosis something tangible and all too real. You just want to hug him as he struggles to come to terms with the fact that destiny has delivered itself into his life in the biggest, bluest package imaginable. Dot, meanwhile, goes from being this painfully overbearing and controlling force in his life to being more of a doting caretaker. A paramedic and med student trying to live her own life, she stays torn between trying to keep her mentally unstable brother out of trouble, while trying to live her own life. She’s a part of a roller derby team in a shady arena and, to help pay the team’s dues, does some mildly questionable surgical work for the owner on the side. Nothing evil, if that’s what you’re thinking, but it shows the sort of lengths that she’ll go in order to make her life and the lives of those around her flow as smoothly as possible. The Terror (Jackie Earle Haley) traumatizes a young Arthur. But of all these heroes, the breakout star of this series is going to be Jackie Earle Haley’s incarnation of The Terror. Fans of The Tick immediately recognize this name as one of the most fabled, feared and decrepit villains of all time. A man who once punched Teddy Roosevelt in the face, in the new series he’s far from the ancient, withered husk of a villain that has always been portrayed. With a wit and charm matched only by his ruthlessness and a psychotic sense of humor, he is truly everything you could want in a bad guy and JEH puts him on like a second skin, and makes him live like nothing you’ve ever seen. 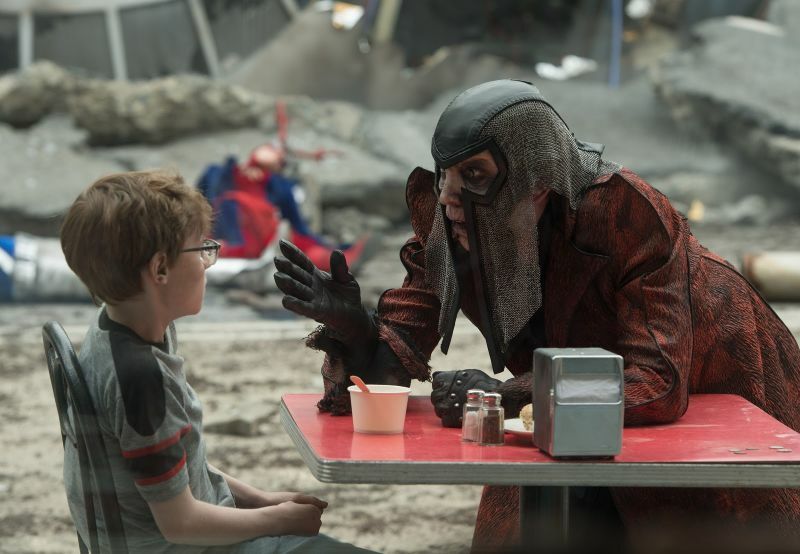 There’s a host of new characters, as well, which is par for the course with every adaptation that The Tick has known, and this series takes on a seemingly more serious note than either of its previous adaptations, while still maintaining some of the tongue-in-cheek, irreverent and very high-concept humor that has always made this series and universe a success with fans. And the potential is unlimited, now that it’s being brought to life on Amazon. From the ability to really develop these characters and their relationships, to the chance to finally see some fan favorites brought to life… there really is no end to the possibilities. I’m hoping that when Season 2 rolls around, we’ll be introduced to a few other favorites like Thrakkorzog, Barry “The Tick” Hubris, Chainsaw Vigilante and even The Evil Midnight Bomber What Bombs at Midnight. There’s also the potential for some phenomenal secondary storylines to finally make it to film, like the saga of Paul the Samurai and his villainous brother, Sagin. In fact, of all the rogues, sidekicks and superheroes known to The Tick’s collected universes, the war between Paul and Sagin would fit the most effortlessly into the storyline. Now, I have a major complaint about the new series, but it’s not a new one. It’s too damned short! At six episodes, it’s just enough to slake our thirst for the first adaptation of The Tick we’ve seen in over 15 years and it leaves fans wanting so much more. Of course, the opposite side of that coin is that an entirely new fan base has been opened up and now has the opportunity to go and read the comics, view the ’90s cartoon and short-lived live-action series from 2001 in preparation for what will (hopefully) be a short wait for Season 2. 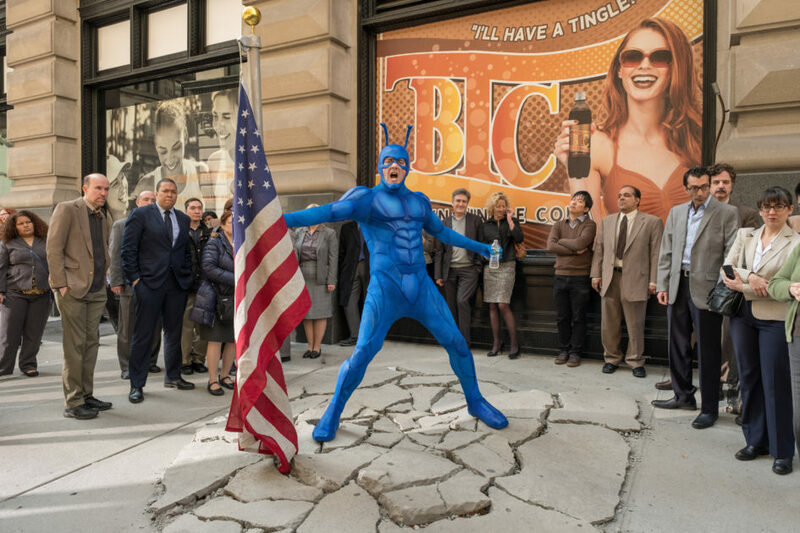 The Tick is available now to stream for free for Amazon Prime members. Yet another excellent reason to get Prime. Just saying.